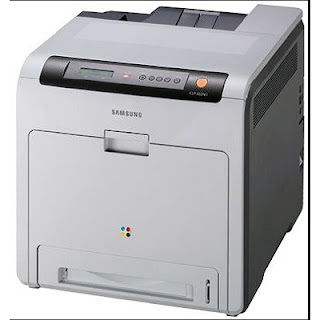 The Samsung CLP-660ND is another color laser printer from Samsung which has been recently released. The Samsung CLP-660ND is a bit on the bulky side with dimensions of 17 x 17 x 16.8 (W x D x H) and weighs around 56 pounds. This color laser printer has a Samsung 533 MHz and SPGPxm graphics processor with a memory of 128MB expandable to 640MB. The Samsung CLP-660ND can connect via USB 2.0 and is network ready with its 10/100 Base-TX Ethernet. From the product specifications of the Samsung CLP-660ND, printing speeds of black and color prints can take up to 25 pages per minute while first page print out will take less than 14 seconds if the printer is on Ready. Printing resolutions is 2400 x 600 dpi and it has a monthly duty cycle of 80,000 pages per month. The Samsung CLP-660ND can handle 250 sheets in its cassette and 100 sheets on its multipurpose tray, an optional paper cassette can further increase its paper input capacity to 500 sheets more. This color laser printer has an output capacity of 200 sheets and can handle a variety of paper sizes ranging from 3 x 5 to 8.5 x 14 as well as different paper types from plain paper, envelopes, to card stocks. If your office handles large documents everyday, the expandable memory of the Samsung CLP-660ND printer will ensure that there'll be no delays in printing. The Samsung CLP-660ND is already available nationwide with a suggested retail price of $699.99.